The Stormtroopers have sure grown up since their days of existing just as duplicated clones, all of them with a pretty awful set of optics. Then again, the whole Empire seems to have grown up a lot. We’ve gone from exploding planets to entire star systems. From conflicted desert dwelling Skywalkers who struggle with the Light and Dark Sides of the Force to … well, conflicted Solos who struggle with those exact same things. Things aren’t always looking too great for the Rebels. And, to make things worse, the Stormtroopers even have some really well trained captains that are definitely going to make things a very rough road. Not only are their aiming prowess vastly improved, but the armor that their captains get are something to be really impressed by. These commanders mean business. With Captain Phasma in the lead, we’re all in a lot of trouble! Of course, there is a chance to settle things before everything gets way out of hand. We just need to get into Phasma’s head and see how she works. But, since we all have so many expectations about the Empire from our past experiences, we need some fresh eyes to help us out. 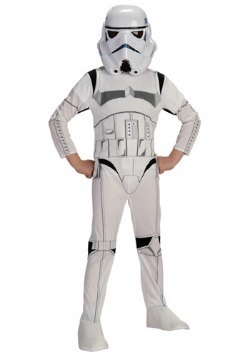 That’s where your tyke can help save the Rebels! 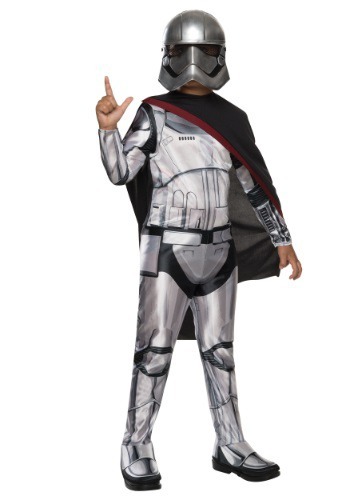 By hopping into this officially licensed Child Classic Star Wars Episode 7 Villain Trooper Commander Costume, we might be able to see just how this new brand of Stormtrooper ticks. The jumpsuit has all the detailing needed to make for a convincing Trooper while the hard plastic mask and cape shows that your kiddo isn’t just the normal grunt. We might have a chance! Unless, of course, your kiddo likes the power that comes from leadership. 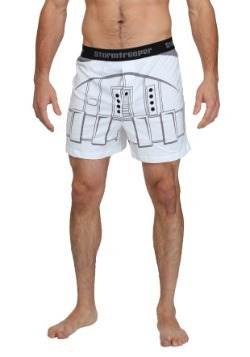 In that case, phew, the Empire just got way tougher!